Principles of Plant Disease Management is intended to provide a substantive treatment of plant disease management for graduate and undergraduate students in which theoretical and practical elements are combined. Reference is made to specific diseases and control practices to illustrate basic principles or strategies. 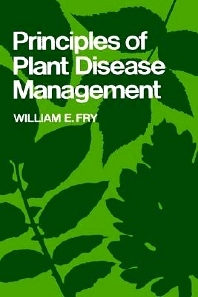 The section on epidemiology includes a chapter in which arthropod vectors (aphids, leafhoppers, whiteflies, Coleoptera and mites) are briefly discussed, and the section on control includes references to the use of crop varieties with resistance to such vectors, and also contains information on mechanical, cultural, biological and chemical measures that contribute to vector control.